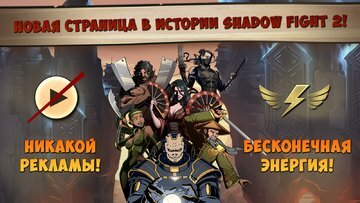 The best series of mobile fighting game returns UPDATED - Shadow Fight 2 Special Edition! It's time to face Titan and put an end to his reign of terror! 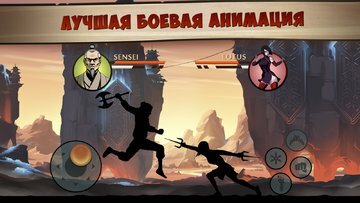 Go through the Gateway of Shadows and plunge into the incredible world of martial arts and brave heroes. Release the lands of the world of Shadows from the oppression of the sinister conqueror from another dimension. You are waiting for an incredible fusion of two popular game genres - role-playing game and fighting game. Participate in great battles, collect your own arsenal of weapons, combine equipment and improve your combat skills! 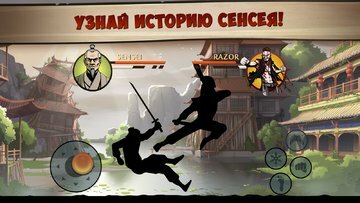 Features of the "Special Edition" Shadow Fight 2: - No ads! - No energy - do not wait, play as much as you want! - Uncover the mystery of Sensei's past in a new storyline! - No to the "grind" "! Pass the story mode in comfort! - Fight with dignity and get rubies as a reward! Upgrade your arsenal with even more weapons and armor! - Visit 7 unforgettable provinces and challenge Titan! - Management designed specifically for mobile devices! 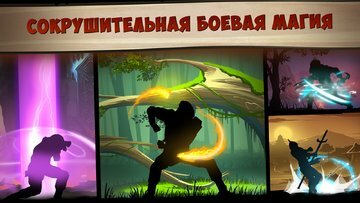 - Incredible animation and unique art-design! Updated: 16 ноября 2018 г.